Join us on Thursday, March 14th for our biggest event of the year! 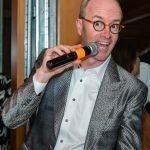 This lively evening will include a cocktail reception, live and silent auctions, dinner and an overview of the state of salmon in the Pacific Northwest, and LLTK’s work to restore our iconic fish. Most guests will be coming from work, feel free to wear business attire or dress up a bit! Please note that this is a 21+ event. If you need to pay for a ticket or table you have already reserved, or report that you’re attending with a Table Captain, please contact Minta Crafts at mcrafts@lltk.org. You can send an email to the same address if you would like to be put on the waiting list for tickets. 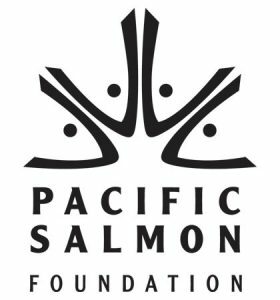 If you can’t attend, but still want to contribute to salmon recovery, go HERE to make your gift. We are excited to welcome Nelson Jay of Gavelo Auctions! He loves salmon and is sure to add fun to this evening supporting salmon recovery. Nelson is a graduate of the Missouri Auction School and the University of Washington, and is an active member of the National Auctioneers Association, from which he holds the Benefit Auctioneer Specialist designation.